Fancy motor racing as a career but don’t know where to start? Look no further as TOC Automotive College and Aylezo Competizione, a local professional racing team have joined forces to start the TOC-Aylezo Racing Academy. Aylezo was founded in 2009 by GT racer, Zen Low who has been in the industry for about twenty years while TOC was established in 2004 and is a pioneering automotive college and provides the first and only Diploma in Motorsport Technology. Now, when one mentions motor racing, many think of Formula One or other single-seat formula series but it’s much more than that. There are many GT (Grand Touring / Gran Turismo) and one-make races running about all over the region and the world. And while the Formula One field is tight and difficult to enter, GT racing provides an abundance of opportunities not just for race drivers but for engineers and technicians. As such the TOC-Aylezo Racing Academy has introduced the country’s first High Performance Driving and Racing course which aims to not only expose those interested in the field of motorsports but to discover hidden talents. “As the training provider in this course, we always believe in shaping the fundamentals and the future of the automotive industry. In this ever-changing sector, we would like to encourage more enthusiasts to continue engaging and aspiring towards a career in motorsports. Individuals are given an excellent opportunity to obtain professional guidance and knowledge from Aylezo racing team. 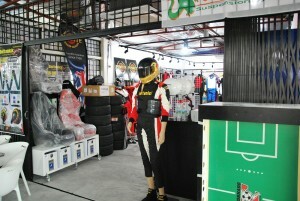 The team members of Aylezo have been involved in motorsports for nearly 20 years and the experience will definitely benefit those who aim to go further in this industry,” said Adelaine Foo, Founder and CEO of TOC. In this 8-week course, students will be given a vast view of Motorsport, learning the basics such as proper seating position and car control, learning about the car and the way it feels and how to communicate with the engineers. It is a chance to experience what a race driver and his crew goes through on a daily basis at the circuit, in a controlled manner at the academy’s purpose-built Go-Kart track and with world-class simulators. These elements are relevant even if you’re not interesting in being behind the wheel because as a team engineer, you also need to know how to interpret the driver’s feedback of the car’s behavior and make tweaks accordingly. Racing drivers too need to learn the technical bits like car setup and modifications. All the courses are conducted by professional racing drivers so you get real-world knowledge and experience. 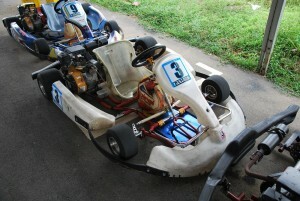 At the academy’s site in 3Stone Park in Glenmarie, Shah Alam, sits the Go-Kart track which has fast stretches sandwiched by technical and tight turns to hone driving skills; the track is re-configurable. On this 8-acre site sits also classrooms for theory work, which makes up about 30% of the 8-week course. When you’re not on the track or in the classroom, there is a state-of-the-art 3-axis racing simulator which allows for a realistic feel of various race cars and tracks so you learn how the laws of physics work. Fitness too is an important factor for drivers and crew alike so gym work is included in this course. A cafe and restaurant is also located on-site. The course is open to anyone aged 21 years and above, with a valid driving license. If you aspire to be a part of GT racing like the Porsche Carrera Cup, Lamborghini Super Trofeo or even Le Mans 24 Hours, or you just want to become a better driver, consider enrolling in this course. The course intakes are for the months of February, April, July, August and November. More information on this can be found here or by contacting TOC at 03-7955-2855.